Justin Bour makes the Phillies better in the present, and he does without altering their flexibility beyond 2018. 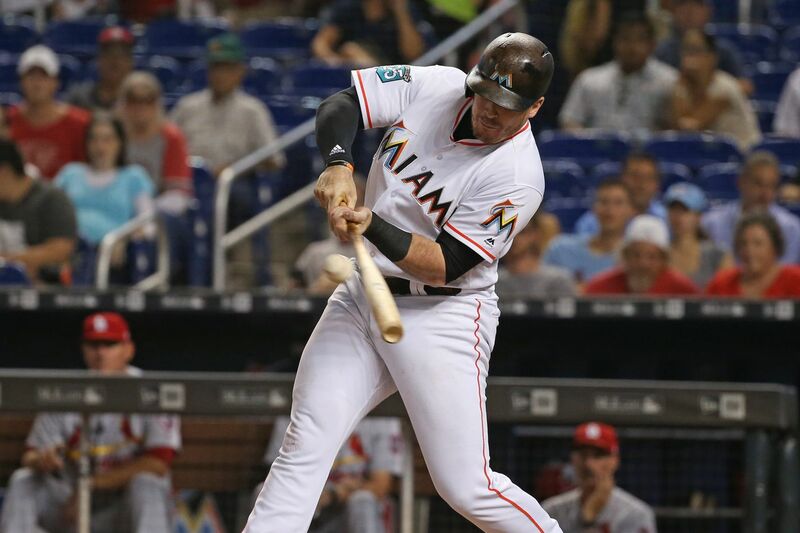 You've heard the Phillies talk a lot about hunting value at the margins, and Friday's trade for lefty slugger Justin Bour is a perfect example of it. Mills, meanwhile, is headed to Miami in exchange for Bour, who should provide a significant upgrade to the Phillies bench when he isn't providing a boost to their lineup at first base against righties. It isn't easy to improve a roster without sacrificing prospects or future payroll space, but that's what the Phillies have managed to do over the last month. In his career as a pinch-hitter, Bour is 14-for-56 with five home runs and 10 walks (.894 OPS), but he should get plenty of opportunities against starters, given Carlos Santana's diminished power production from the left side of the plate this season. Not only has he shown more power against righties than Santana this season (a .475 slugging percentage vs. Santana's .387), but his on-base percentage is nearly even (.360 to .362). If you combine Santana's splits vs lefties and Bour's splits vs righties, the resulting .815 OPS would rank 11th out of 29 first basemen with at least 300 plate appearances, while their 22 home runs would tie for fifth. That's not a completely honest comparison, given the difficulty a manager can have in getting a platoon advantage once a game gets to the bullpen. Against righties, though, Bour's presence should dramatically improve the Phillies' odds. Bour also gives the Phillies some options beyond 2018. At first glance, he's an obvious non-tender candidate this offseason, since he'll be due a raise on the $3.4 million salary he is earning in his first year of arbitration. In a vacuum, he'd be an expensive bench bat, and the Phillies still have $40 million guaranteed to Santana in 2019 and 2020. But they'll be able to call their shot with Bour, who just last season posted a .902 OPS with 25 home runs in 429 plate appearances.